Thanks for the comment, Rusha! A wonderfully unusual perspective! What, exactly, are these three objects? 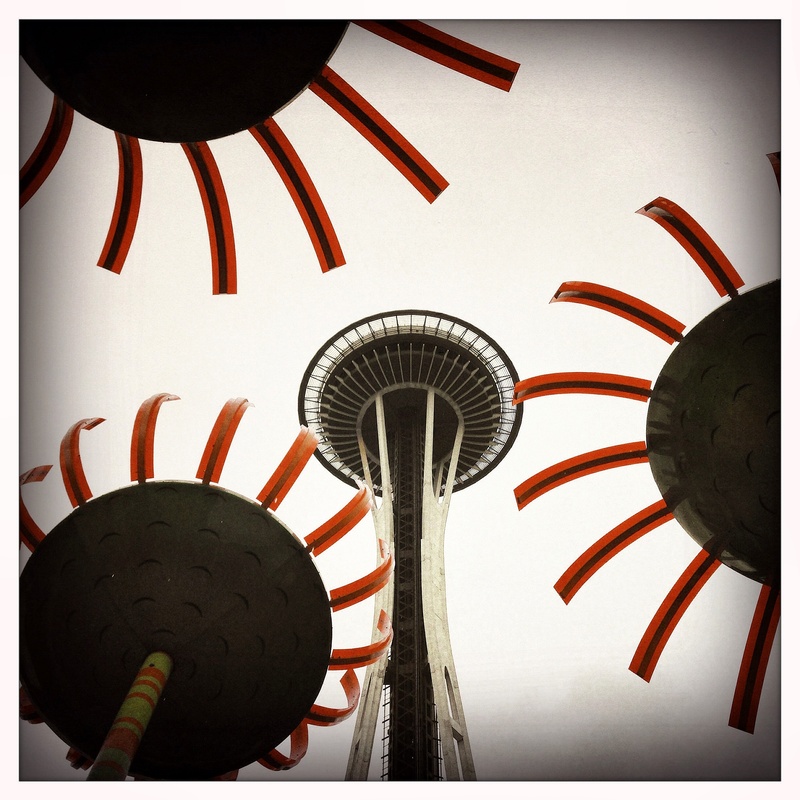 They are part of a fun art installation called Sonic Bloom at the Seattle Center. There are 5 tall flowers tilting in different directions with solar panels facing the sky that capture energy all day, then power multi-colored LED lights at night. So they glow in the dark! I love this! The color, the composition, the energy! Thank you! I was at the end of a long day but felt happier and lighter once I looked up and saw this view! Too cool! This made me smile.